Part of me is disappointed I didn't see this when I was younger, because if I had seen it before I became interested in more traditional film stuff and was more concerned with things that simply played to my tastes it could have been my favorite movie for a little while. Which is not to say that Tim Burton's Beetlejuice is anything like a bad movie—it isn't—it's just that its success rides heavily on whether or not the method of its delivery (its "voice") appeals to you. I'll unpack that a little, but as a simple thesis you could say that Beetlejuice might be a "just good" movie, but for the right person it could be the perfect "just good" movie. It's hard to encapsulate what makes Beetlejuice such a unique film, because it's not just one thing. It's a combination of everything from the performances (Michael Keaton doing his pre-Batman frenetic madman better than I've ever seen) to the atmosphere (a kind of sadly comedic, mournfully quirky fantasy world reminiscent of Wes Anderson). You could say it's Tim Burton at his most Tim Burton-est, but I don't think that's precisely accurate. Part of what I love about it is that it takes the typical dejected outcast Burton loves (usually his Johnny Depp character) out of the spotlight. The mopey Lydia Deetz (played with infinite charm by a teenage Winona Ryder) takes a backseat to the more rounded characters of Adam and Barbara Maitland (Alec Baldwin and Geena Davis), a young married couple killed in a car accident and forced to navigate the uncertain landscape of the afterlife. As a result, the sentimentality of something like Edward Scissorhands is replaced by the off-the-walls silliness of Burton at his best. Its unique voice is so in your face that I expect it's rather difficult to be indifferent toward the film without checking out emotionally. I mean, how do you shrug at the ghostly possession rendition of The Banana Boat Song without ignoring it entirely? That scene is either hilarious or annoying, and this principle applies generally to the rest of the film. 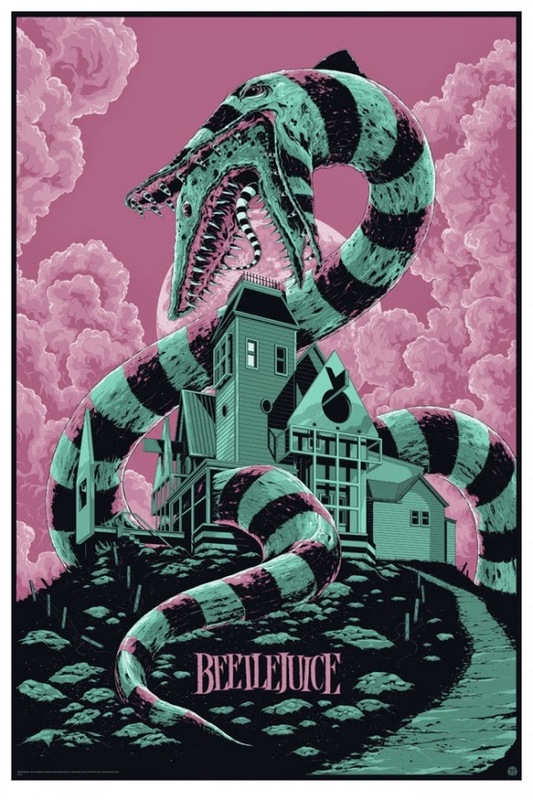 I'm sure it's possible to talk about Beetlejuice objectively—I even think that somewhere underneath its distinct and creative voice is a film which is slightly less than great. But this misses the point. The movie will succeed or fail on an individual level; not based on its simple technical qualities, but rather by virtue of whether viewers find it to their personal taste.